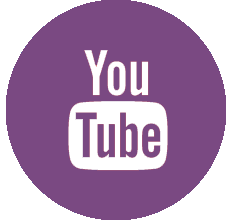 I posted the Blog Hop winners HERE earlier on Saturday. I have been "sitting" with the friend who is my camera man for my videos. He had some surgery and needed someone to assist for a few days. (Just so you know he is eating my cooking and is still alive.) Of course I looked on this as a chance to have a private quilt retreat. While the big guy is asleep, I am sewing away. .And I took it to the deck and took a picture on one of the old rusty metal chairs, cause I love seeing "artsy" pictures. I also pulled out my big Tumbler die and cut a bunch of those shapes. Then I sewed and sewed (when I wasn't playing nurse.) There are actually four rows of tumblers..but one is hanging on the back. Do you see my humility block? I tried for artsy again by hanging this on one of the low branches in the persimmon tree. The wind was blowing and the picture blurred....can you say "major photo failure" ? Yeah, I thought you could. I have to say that sewing is a great way to stay busy when you are patient sitting. With the good pain meds he is taking (hey they drilled through the bone!) the sweet sound of the sewing machine humming along doesn't bother him at all. 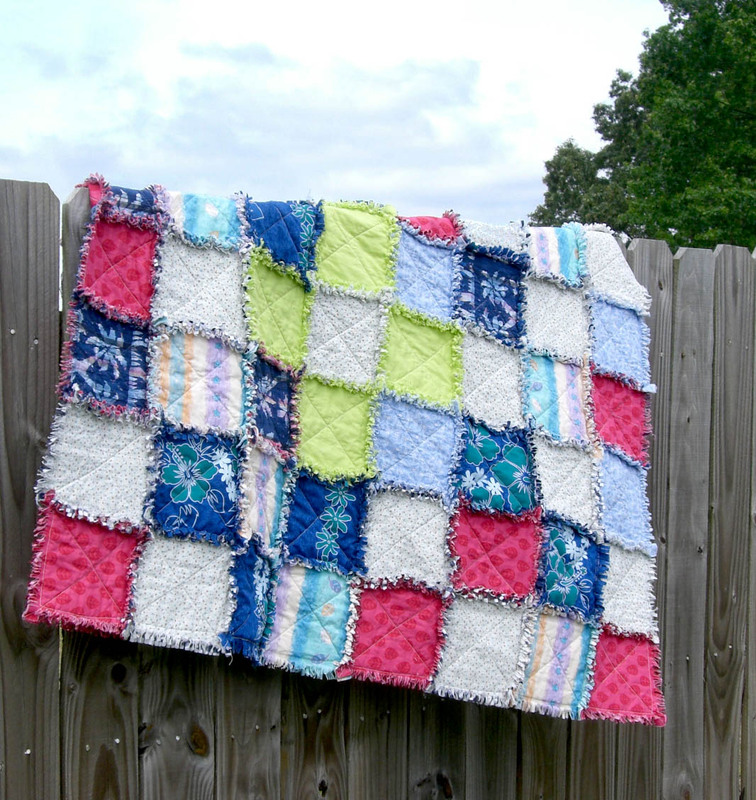 Don't we all need an oops in our quilts? Most quilts you look at there is at least one mistake. It's to prove that we're human. Good luck sitting with your friend. Sewing passes the time quite nicely then! 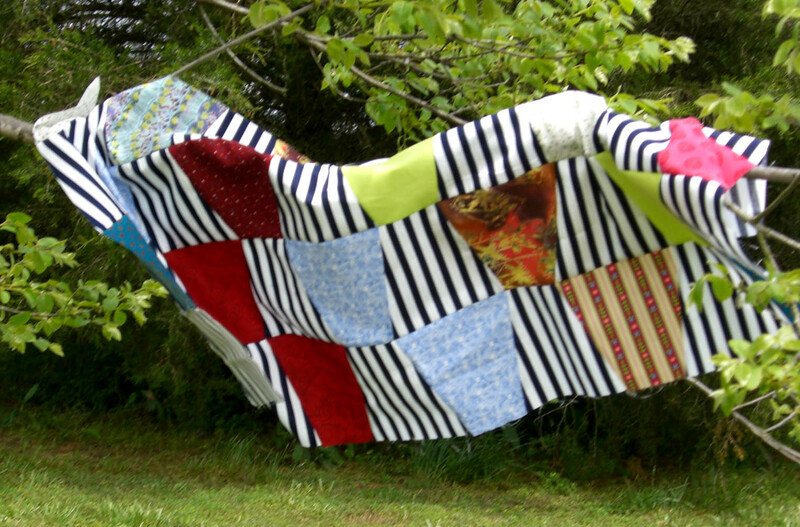 It looks like a lovely quilt retreat sprinkled with some really good deeds! What a great friend u are!!! Love the quilts & bummer on the ebay seller!!! Hope the foot heals quickly and with no problems. Sorry you got stiffed on the rag die on eBay but glad you got a refund. 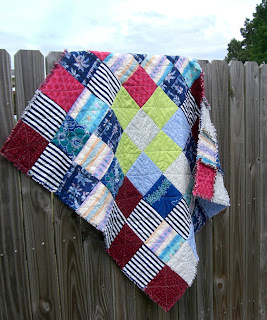 I love how those rag quilts finish up!!! 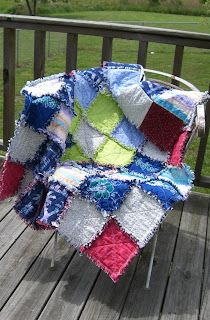 Love the rag quilt, I have that die, maybe I should use it? Looks great. I would definitely leave the humility block in there, it gives you something to really talk about. 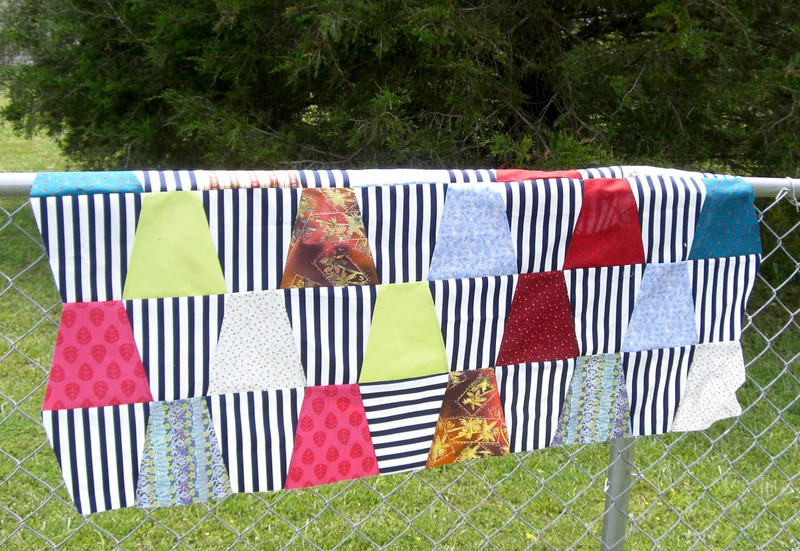 Almost every quilt I have made has one or more of those blocks in them. I like that image of the quilt blowing in the breeze! Makes me think of lovely Spring day. What a wonderful thing to do for your friend....and you actually get sew time as well...and sew time you did. Love both quilts. Oh Gene, keep up your artsy photos, you really make me smile. 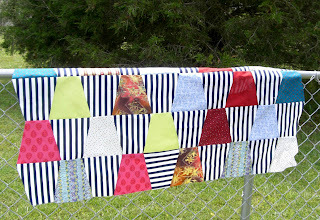 Such fun quilts you've been making. 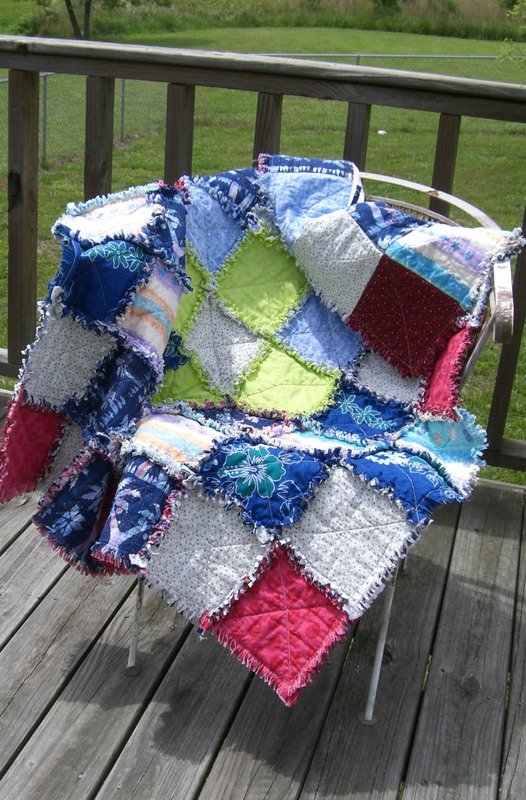 Love the raggy goodness....that is one I need to try for the crisis center baby quilts, I think. They look nice and soft. Hey, you and I both need some tips on the artsy photos --- I have epic fails there, too! :) But I do think that yours look better than mine. I think the humility block looks fine! 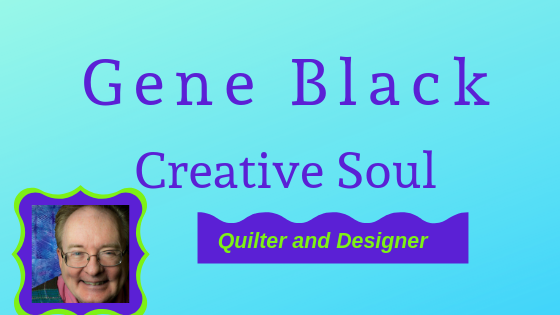 I have been thinking of trying a tumbler quilt. I need to learn machine quilting first so I can finish all the progects I have going. You sound like a wonderful dear friend. I hope he appreciates your goodness. Gene, I like both quilts! Is the humility block the white one? I've put the rag quilt on my to-do list several times but so far I haven't gotten around to doing one. It looks great!